Classic and simple court shoe with leather uppers and footbed. This shoe is from Tamaris's new, patented ‘Heart & Sole’ collection that uses insoles to take the pressure off your feet and support the natural arch. 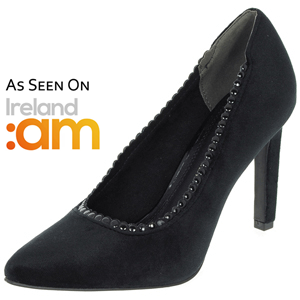 Combined with the 6cm heel that uses ‘anti shokk’ technology, this pump will give maximum wear comfort all day long. Become a part of the comfort revolution!